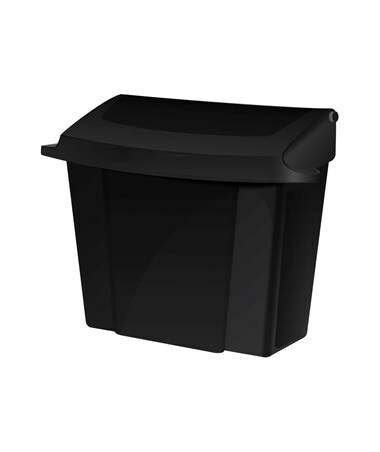 The Alpine Sanitary Napkin Receptacle is a perfect waste bin for used sanitary pads that can be placed in restrooms in schools, public restrooms, office and other powder rooms. It comes with a rigid liner for easy cleaning and content removal. Also, this sanitary napkin receptacle features a tight-sealing lid to seal-away undesirable odors. 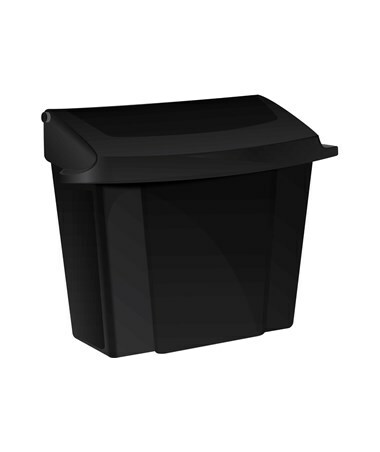 Designed for hygiene and durability, this Alpine receptacle waste bin is made of a sturdy ABS plastic with black finish that gives a clean professional look. 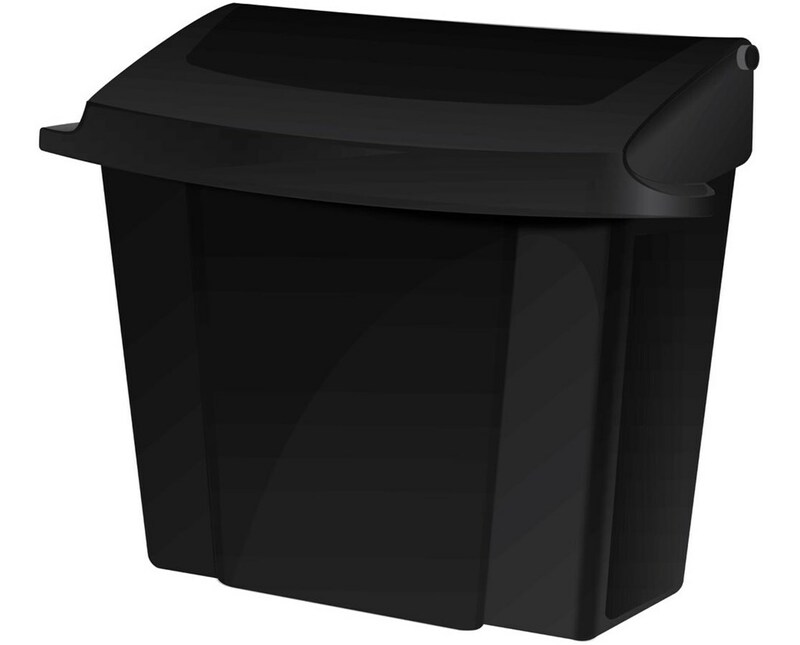 This one-pound waste bin has a space-saving size of 10” H x 9” W x 5” D and features a wall-mount design. In addition, no assembly is required for this.